I’d like to welcome back Christy – she was here once beforeas Robin Danner, her alter ego who writes historical romances. I’m thrilled to have her back in her contemporary romance persona. I’m no stranger to Moni’s Muse Wednesday. I was actually invited a few months back as Robin Danner. I spoke then about Whitney, My Love. I still consider that particular historical as the inspiration to begin writing historical romance. But today I’m dropping by as myself, Christy Gissendaner. Robin and Christy are as different as night and day. Robin touches on the dark, emotional side of romance while Christy loves happy, cheerful romances. Truth be told, I’m quite fond of humorous chick lit with strong romantic elements and unforgettable heroines. That’s why it’s no surprise I’m talking about Bridget Jones’s Diary. 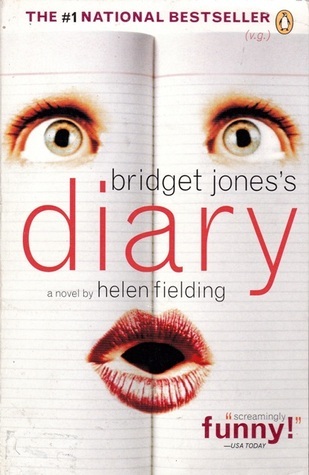 And before you try to convince me I let my love of both Hugh Grant and Colin Firth convince me Bridget was the best thing since sliced bread, let me assure you I read the novel wayyyy before the film was released. Who doesn’t see themselves in the plucky, mishap-prone Bridget? As someone who has struggled with the same vices as Bridget, I totally connected with her character. I was first in line when the movie actually did come out. I bought the soundtrack…still have it to this day. I listen to tracks from it as I write. I’ve read and reread Bridget, yet she never fails to entertain me. I freely admit I internally read her dialogue is a British voice. Keep in mind I’m from southeast Alabama, so if you could listen in you would be immensely amused! Christy Gissendaner is a romantic comedy author for Liquid Silver Books and Entangled, who believes laughter and love should go hand in hand. She lives in Alabama with her husband and three sons and is always hard at work on her next novel. In her spare time, Christy loves blackjack, karaoke, and anything resembling a vacation! ~ by Monette Michaels on February 20, 2013. Thanks for having me again, Moni! Love “laugh til you pee moments”! Nice to meet the real Christy since so many confuse author and protagonist. Nice post! Thanks for sharing your muse, Christy. I know what a busy gal you are and appreciate you taking the time to stop by. Never too busy for you, Moni! Great post, Christy. i loved Bridget Jone’s Diary, too. We won’t even go into Hugh Grant. It suddenly got quite warm in here. In addition to loving those things, your writing is wonderful. You’re a gifted storyteller. I’m looking forward to reading A Hot Mess and A Touch of Sin! Awww, you’re too sweet, Ann! Hugh Grant…ooh laa laa. We must discuss him at some point! Christy: I just bought A Hot Mess! Girl–you rock.